In Linux Containers on the Pi I described how to run LXC/LXD on SBCs (Small Board Computers), including the Raspberry Pi. Docker attempts this, by fronting the containers with the dockerd daemon, but the networking is klugy at best. If you choose to go it on your own, and use Docker's routing, you will quickly find yourself in the 90s where everything must be manually configured (address range, gateway addresses, static routes to get into and out of the container network). The other option is to use NAT44 and NAT66, which is just wrong, and results in a losing true peer to peer connectivity, limited server access (since only 1 can be on port 80 or 443), and the other host of brokenness of NAT. If you haven't already installed LXD on your Raspberry Pi, please look at Linux Containers on the Pi blog post. The OpenWrt project not only provides squashfs and ext4 images, but also simple tar.gz files of the rootfs. The current release is 18.06.2, and I recommend starting with it. Download the OpenWrt 18.06.2 rootfs tarball for Arm. Unfortunately, the OpenWrt image won't boot with the imported image. So a helper script has been developed to create devices in /dev before OpenWrt will boot properly. Since this is going to be a router, it is useful to have two interfaces (for WAN & LAN), and therefore a profile for this network config must be created. Create the profile, and edit to match the config below (assuming you have br0 as a WAN and lxdbr0 as LAN). And then edit the router container to have 2 interfaces. The only line you need to add is the eth1 line, and be sure to have a unique MAC address (or just increment the eth0 MAC). In order to use the lxc push command the container must be running, so we'll start the router. With the container started, the OpenWrt container boot will stall after running procd (think init in linux). By running init.sh the boot process will continue, and OpenWrt should be up and running. Log into the router container using the lxc exec command, and run the init.sh script. 508 root      1116 S    /usr/sbin/uhttpd -f -h /www -r OpenWrt -x /cgi-bin -t 60 -T 30 -k 20 -A 1 -n 3 -N 100 -R -p 0.0. The LuCI web interface by default is blocked on the WAN interface. In order to manage the router from the outside, a firewall rule allowing web access from the WAN must be inserted. The standard way it to add the following to bottom of the /etc/config/firewall file within the OpenWrt container. Now you should be able to point your web browser to the WAN address (see output of ip addr eth1 address). and login, password is blank. Follow the instructions to set a password, and configure the firewall as you like. In order to permit access to webservers, a firewall rule must allow the traffic. 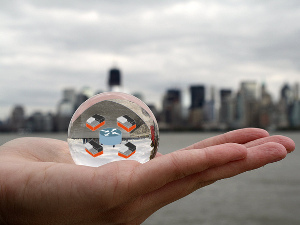 echo "starting web container: $i"
In order to permit access to webservers, a firewall rule must allow the traffic. Add a new rule to allow port 80 traffic to pass to any host on the inside network (the lxdbr0 bridge). Now point your browser at one (or more) of the webservers to see the content. This is an example from a previous VicPiMakers.ca talk, but now running inside a container. Earlier, I created a container based on Debian 10 (Buster), the next version of Debian. Since we are running the webcam inside a container, the webcam device (/dev/video0) must be mapped into the container. Once that is done, step inside the container, and install the software we need to run the webcam and the IPv6 enabled python webserver. This takes a while because of the dependencies. Now start fswebcam which will take a photo every 5 seconds, and -b places the program in background. 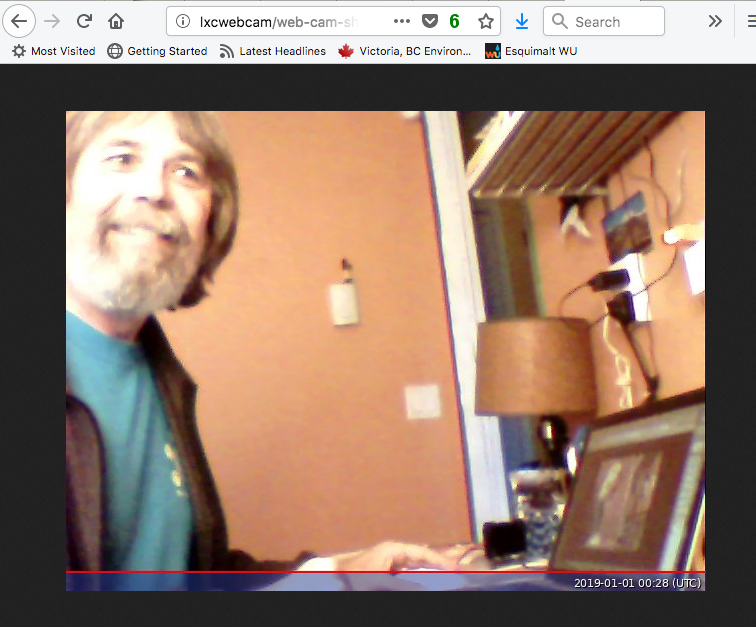 Point your web browser to the webcam container on port 8080, and see the files, click on web-cam-shot.jpg. 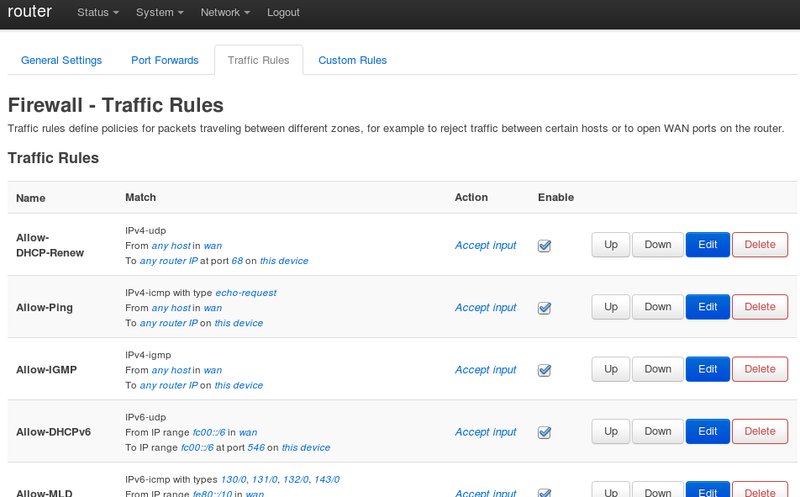 Note: the firewall will require a rule for port 8080 as well. As you can see the firewall prevents unauthorized probing of the inside network. Because all of this is running on LXC, there is address stability. Not matter how many times you reboot the Raspberry Pi, or restart containers in different order, the addresses remain the same. This means the addresses above can be entered into your DNS server with out churn. Something Docker doesn't provide.